STAY COOL in the hanger or at home. 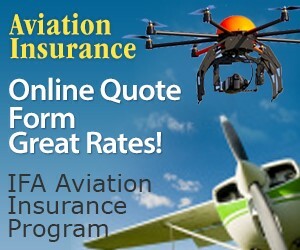 Save time and money with just one call to an IFA Aviation Insurance Program pilot and insurance professional. Request an online quote or call toll-free 877-247-7762 and find out how much you can save! Q. I want to start flying again after 30 years of flight inactivity. I am a healthy 80- year- old male with a St. Jude pacemaker/defibrillator, the first one implanted in 2006, and lasting for nine years before a low battery necessitated a replacement. Now, for almost 11 years, the device has not been activated by any cardiac anomaly. Is there a possibility that I can get a 3rd class medical certificate with the device? I have a multi-engine instrument rating with about 1,500 hours logged. A. I am sorry to say that unless the defibrillator function of the device is inactivated, you would not be eligible for a medical certificate. You may fly with a pacemaker as long as you are not totally dependent on it. 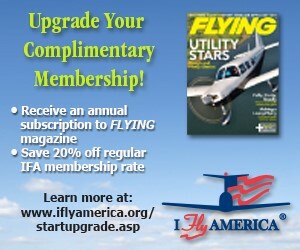 Be sure to visit I Fly America on Facebook. You will be able to read the latest news from IFA, network with other IFA members, and connect with fellow aviators by sharing your favorite aviation photos and flying destinations. Make sure to "Share" our information with your friends and remember to "Like" us.